Join us at the brewery taproom this April for a month full of fun, creative and delicious events! 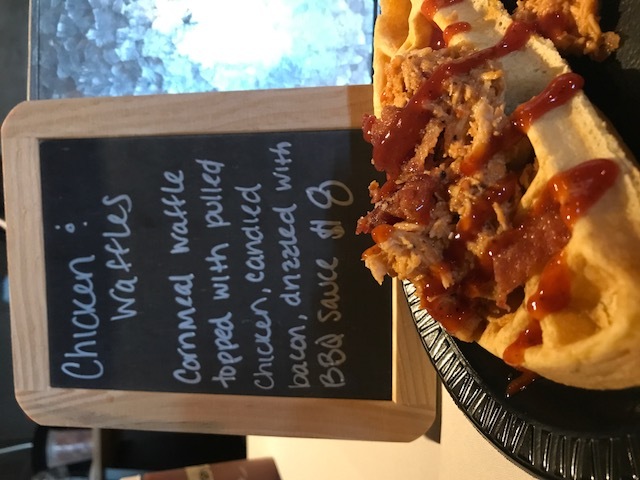 We have a different food vendor scheduled every Friday and Saturday in April so there is sure to be one or eight events you will want to attend. Also, make sure to check out the end of this blog for new beer releases and dates! Join us Friday, April 6 from 5 – 9pm when Tex Mex Eats takes over the taproom. Amanda will be serving up her amazing Frito pie and a variety of tamales. Stop in early as they always sell out. Dogs and families are welcome. Saturday, April 7 – You could say today will be wickedly awesome. Wicked Rustic Workshops will be having another building session at the taproom before we open! The event is currently sold out, however, we wanted you all to know that things like this do happen at our brewery and if you are interested that you make sure to keep your eyes and ears open for the next one so you can join this creative community of doers. Saturdays event is flower box construction to hold all those beautiful spring/summer colors. 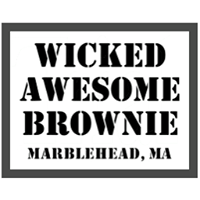 Stick around the taproom after the Wicked Rustic Workshop for Wicked Awesome Brownie. We love dark beer and chocolate together. Thankfully, we have our porter and stout always on tap at the brewery, and these folks are bringing the chocolate. Winning!!! As always, dogs and kids are welcome in the taproom. Lexie’s Burger Bus returns to Park Street to share their delicious burgers with Beverly and hopefully the weather cooperates. Last time they were in town it was cold and windy and Lexie stuck it out until after 8:30. We felt the love that day so let’s show Lexie’s more love and come by and eat burgers at the brewery! We have it on good authority that Gulu (technically 3 Kitchens Catering) will be preparing waffles for this Saturday Brunch at the brewery. 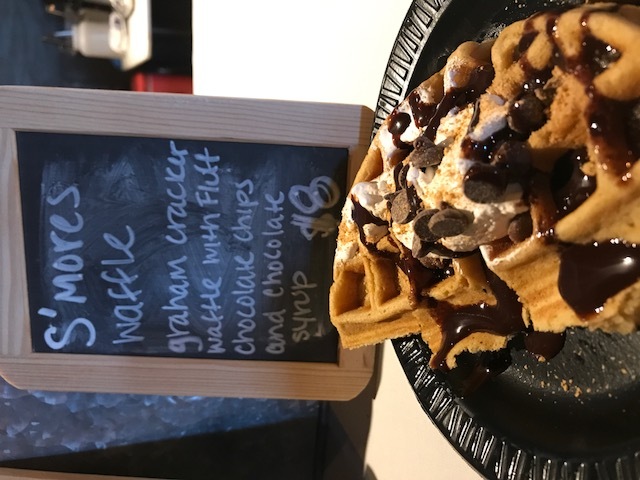 How does Chicken & Waffles and a S’mores waffle sound? We’ll have both please! If you have never been to their cafe in Salem, check it out! Amazing beer selection (yes, we are on tap occasionally) and their food options are fun and creative. We have heard their nighttime scene is cool too, with live music, drawing, and bingo to name a few options. 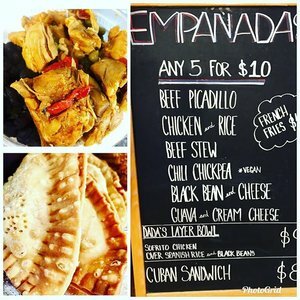 Empanada Dada returns from Lowell with their food truck specializing in authentic Cuban and Spanish food. 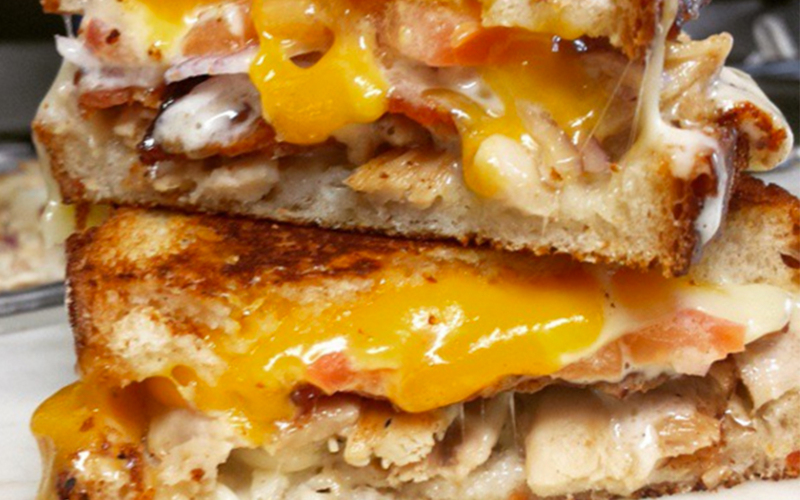 They are best known for their variety of Empanadas, Cuban sandwiches and layer bowls. May we suggest one-of-each empanadas plus a cuban sandwich kicker? We will obviously supply the beer. 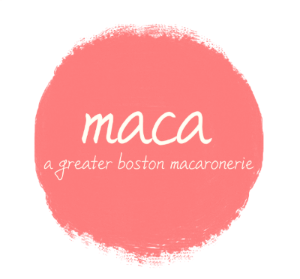 Stop in the taproom Saturday, April 21 at Noon for beer and macarons with maca! If you’ve never had a French Macaron or if you’re a macaron lover, maca’s macarons are the traditional French macaron – egg shell like exterior, soft fluffy interior with homemade fillings. From classic flavors like vanilla and red velvet to unique flavors like fruity pebbles and butterbeer, maca has something for everyone! Maybe they will bring the new Macfatty, their collaboration macaron with Salem business Goodnight Fatty? As always, families and dogs are welcome at the brewery. The fellas from the BACON TRUCK return!!! And we are told the truck is coming with them. These guys make some amazing sandwiches, which obviously include their delicious, thick-cut, salty, crispy, yummy bacon. Did we mention bacon? Our Head of Security, Lady will be here scrounging scraps. Bring your pup too and help clean up the crunchy bits that fall to the taproom floor. The Whoo(pie) Wagon is the mobile outlet for The Topsfield Bakeshop. If you have been to the Topsfield Fair, then you have probably seen them there and maybe tasted these sweet treats. Unlike the pre-packaged versions, theirs are baked fresh daily and are sweet, but not too sweet. 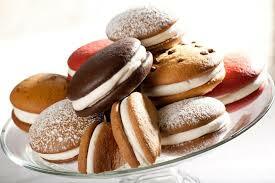 They also have this thing called a Whannoli, 1/2 whoopie pie, 1/2 cannoli. We hope we get one of those! An infinite series of American IPAs. This version features about 15% Vienna malt added to our pilsner base malt, so expect a light color with a slight toasted character. We hopped it with a 50/50 blend of Citra and Mosaic, a new classic combination for American IPAs, and surprisingly one we have not yet done. Tons of citrus and tropical fruit! This is the first iteration of the limited release Coffee Brown scaled up for the full-size system. It is a collaboration between us and The Castle that uses their proprietary coffee blend. This batch has 5 lb. of ground Bastion coffee and came in right around 5.2% ABV. Come in, give it a try and tell us what you think. Our next lager, using the same yeast as the Helles, we decided to brew this beer which was traditionally brewed in March, the last month brewers were allowed to make beer. This is the same style traditionally served as an Oktoberfest and we plan to retain a keg to serve in September. Expect it to pour a light orange, drink slightly malty and have subtle European hop flavors. It is back for another summer season! Light, dry, and definitively drinkable, this is our take on a saison for warmer weather. We plan to keep this on all summer just like we did last year. We can’t wait for this one to come out!